@Herpderpington114, really? I could have sworn it was Will Smith. @Herpderpington114, I think it's Terry Crews. @Herpderpington114, you dumbasses, don't you recognize the President of the United States? @Herpderpington114, dude, Tracy Morgan is going to get pissed off if he finds out that you have been calling him Denzel Washington. 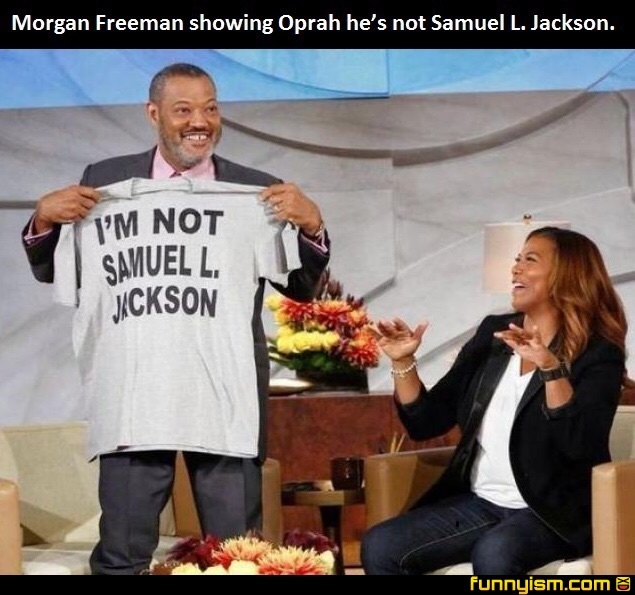 @Herpderpington114, did you notice that isn't Oprah. It's Eddie Murphy. @Supacoopa42, Maybe it's Whoopi Goldberg. Clearly forrest Whittaker on the Tyra banks show. Are you ready for IS! IT! RACIST!? It's da dude from the matrix, he took the blue pill so now he knows there are no snakes in Oprah's couch. .. It's weird how Oprah and Queen Latifah look so similar.